The Blitz Football Club was established in 2007. This is an under 15 football club in Karachi. The club has developed many young footballers. Blitz FC got an official sponsorship from JVC. The multinational company provided Blitz FC with exclusive black and red jerseys. Most of our matches are played at Rahat Ground, Agha Khan and The National Coaching Centre. 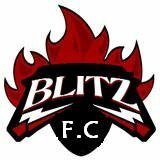 The young stars of Blitz FC are highly skilled and despite bieng so young they compete agaisnt many higher-aged teams. 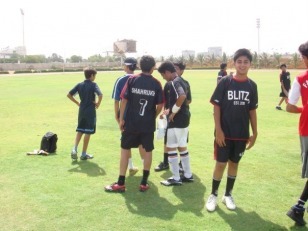 Blitz FC was first captained by Muhammad Saad. Farhan Sohail was then given the captaincy as Saad shifted to USA. The club has been growing very rapidly and bieng involved in many matches and tournaments. If you would like to arrange a match with us please view the Contact section. Sharukh Saleem grabbed an early lead for Blitz FC in the 8th minute. Zaid Imran added his name on the scoresheet in the 19th minute by a well placed shot from a through ball by Sharukh. In the 27th minute Sharukh sealed the game for Blitz FC with a shot from distance. Diya tried to score in the second half but their attempts just missed the target. Although Blitz FC did win a penalty in the 76th minute, Ayad hit it only to see it soar over the post. Copyright © 2008 Blitz Football Club. All rights reserved.